As Far Cry 5 shatters the series’ records, other titles in Ubisoft’s catalog continue to put up a strong performance, helping the company to post a sales increase of 18.6 percent for the fiscal year ended March 31, 2018. Ubisoft boasts “new record-level profitability” as a result, and higher-than-expected performance during the year. 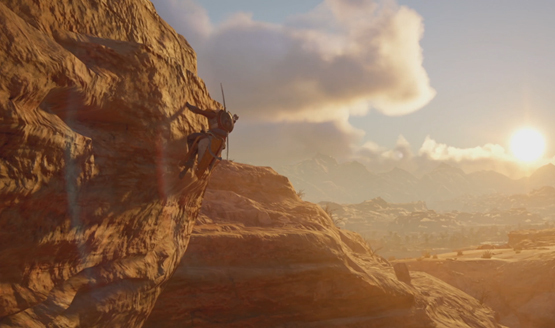 Assassin’s Creed Origins saw the best fourth quarter performance by a game in the series and continues to perform well. Rainbow Six Siege attracted more than 30 million registered players with record engagement levels. Elsewhere, The Division and Ghost Recon Wildlands saw more than 20 million and 10 million registered users, respectively. Most of Ubisoft’s sales are now digital, taking 58 percent share of total sales. The company revealed that its previously released titles saw a 27.2 percent increase in sales, amounting to €826.0 million. Looking towards the future, Ubisoft says it aims to reach a wider audience through new forms of gaming and streaming. “Consequently, we are investing in our online services platform – which boasted 88 million unique active players – as well as in artificial intelligence in order to better tailor the game experience to each player’s profile and therefore offer them ever-richer experiences,” Guillemot added.